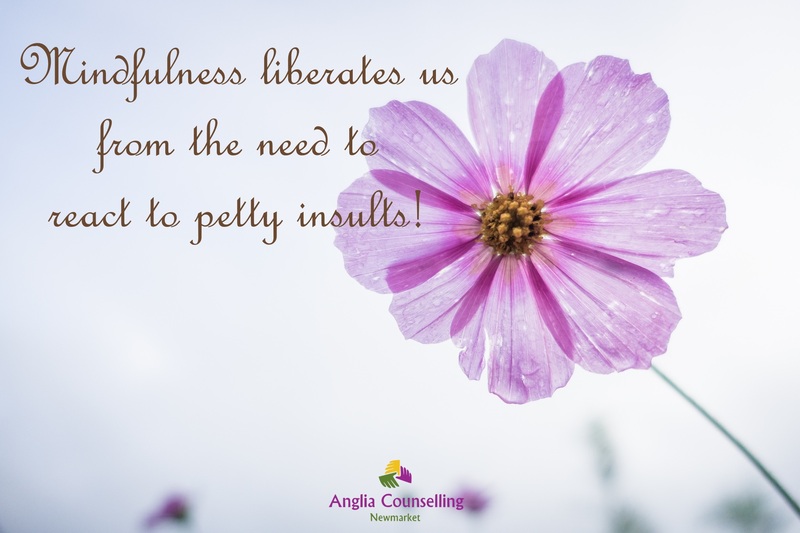 Mindful Thoughts on How to Deflect an Insult - Anglia Counselling Ltd. In being mindful we can choose to see the world and events as they really are. All our cognitions are coloured by everything we have ever been exposed to. We are conditioned as a result. When we react, without even this amount of consideration, then we are already subscribing to ‘a truth’ based on those people (and events outside of us) based on the colouring of our experience. If we can return to a place where what we see, hear, taste, touch and smell is exactly that, then what we experience in this moment will be exactly that. For help returning to that healthier way of understanding, contact me, Bob Brotchie, for your own, unique appointment.